The Kitchen is open on Fridays! Fish dinners are on the menu again Friday evening from 5-8 PM. For $7 you get 3 generous pieces of battered cod, french fries, coleslaw, and bread. You can add 4 hush puppies for an extra $1. Carry out is available, too. After dinner there is Karaoke to provide our entertainment for the evening. The Aerie has invited homeless veterans from the Michigan Veterans Foundation in Detroit to join us for a meal from 1 - 5pm. These veterans sacrificed for our country so we're asking our members to sacrifice a little and prepare a dish to pass around for them. A sign-up sheet in the entrance board is also available if you can make a donation of clothes (used jeans, shirts,shoes, hats or new socks, briefs & T-shirts. Also items like toothpaste & brush, shampoo, razors, towels etc. Place items in the donation box. 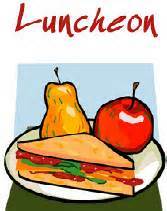 Everyone is invited for this non-alcohol Luncheon & Whitney has volunteered to provide music entertainment. Vets pls wear something to designate your branch of service. Check under Meeting tab for address. Wounded Warriors, MDA Camp Cavell and Toys for Tots. Quarters and Kids, will host a fundraiser for the Fraternal Order of Eagles #3996. This event will consist of a vendor and craft show from 10:30 a.m. until 4:00 p.m.
the Public are welcomed and encouraged to join in the fun. We are seeking local businesses to sponsor tables and donors to contribute items for a silent auction. We will also accept monetary donations for this event. any other information you would like presented to our attendees and also will be displayed on our website. and also will be displayed on our website. We do ask that all sponsors please have checks and advertising materials into us by Sept 12, 2013. Please make checks payable to Quarters and Kids and mail them to 8887 Millington Ct., Belleville, MI 48111. We hope you will join us in September. 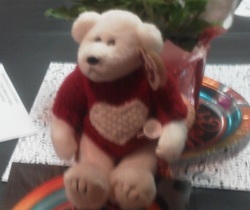 "Bobby Bear" invites his friends and family to share pictures and memories of good times and valued friendships. His farewell party is not goodbye, instead its a remembrance & never forgotten loyalty to people you love & trust!